From 2013-2016, Adam was joined by Alan Stein as his co-host and collectively they recorded 226 episodes including interviews with some of the biggest names in sports; Kevin Durant, Mark Cuban, Jay Bilas and more. Each of the Hardwood Hustle episodes were recorded to be timeless content that was relevant at the time of the recording and are still relevant today. Below are the 226 episodes. Feel free to listen and enjoy! 14: Does High School Basketball Need a Shot Clock? 19: Is Jay Z a Positive Role Model? 20: Should Every Team’s Goal Be a Championship? 22: Is the Mandatory Post-Game ‘Handshake’ Outdated for High School Basketball? 24: Does Hard Work Really Beat Talent When Talent Fails to Work Hard? 27: Should a High School Coach Be ‘Friends’ with Their Players? 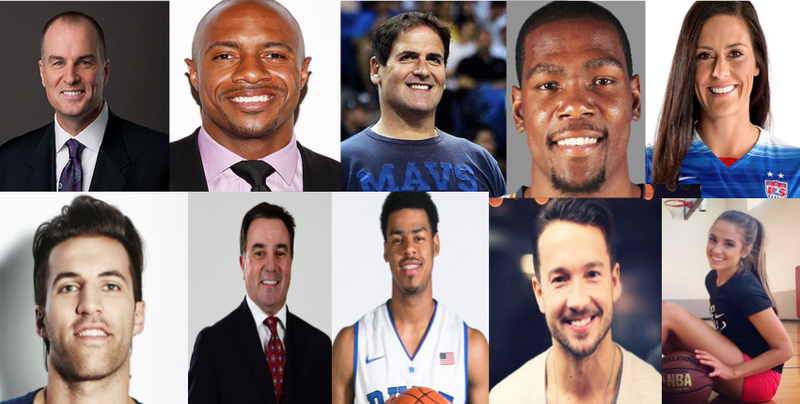 29: Do NBA Players Play for Love or for Money? 37: Does Pre-Game Trash Talk Serve a Purpose in Basketball? 38: Should All Basketball Players be Treated Equally? 39: Which is Better Come Playoff Time – Talent or Experience? 40: Are Players and Coaches Equal? 49: What Role Should Religion Play in Basketball? 51: Should You Punish the Player or Punish the Team? 52: Which Philosophy is Best for You? 63: Why is the College Basketball Transfer Rate So High? 69: What Happened to the 3-Sport Athlete? 75: Is Home Court Really an Advantage? 93: What is True Commitment and Loyalty? 123: Thoughts on Parenting an Elite Player with Mr. Darren Harvey, Sr.
146: Are Elite Players Born or Made?